„Even as kids we’ve read in children books about hens giving eggs, cows giving milk and a pigs being useful only for meat and skin, and many people are satisfied with this information for their whole life without ever learning the truth,“ says spokesperson of the 269 movement Vratislava Zibová. „The reality of today’s farming is much less poetic. For example, for every hen, bred for high congeries, there is also one hatched rooster. Rooster, who is useless for laying eggs. Unlike broilers they have slower muscle growth and therefore they are not worthy for meat production either. Thus they are killed on the first day after hatching. In a process called sexing males are sorted out by workers at the conveyor belt and subsequently killed by gas or in a blender – precisely in a device with rapidly rotating blades. Just in the Czech Republic lives of about 4.5 million small roosters end in this fashion. Each year. But even chickens, who are born as healthy hens, await not much better fate,“ she explains. Activists also want to point out that today we do not need to cling to animal products. We have a choice. Eggs, just like milk or meat, are replaceable in our diet without any hardship. As an inspiration they will hand out leaflets to passers-by with facts about egg industry and also a recipe for Easter lamb without cruelty. 269 movement, which originated in Israel and gradually spread throughout the world, is known for its controversial protests. 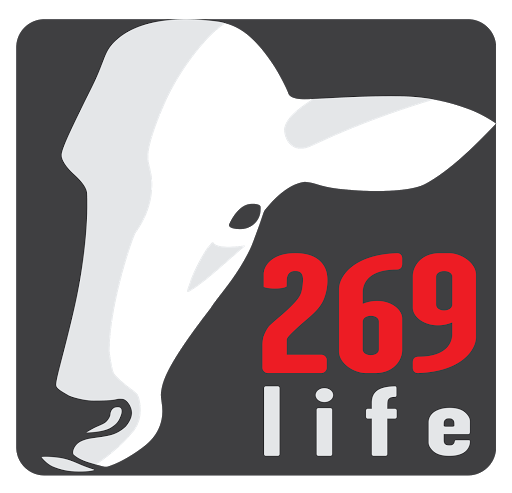 Last year volunteers were branded with the number 269 before the eyes of passers-by to bring attention to the fact that animals feel pain just like us humans do. A week ago, for example, they demonstrated on human volunteers what the animals on fur farms must endure during their lives.